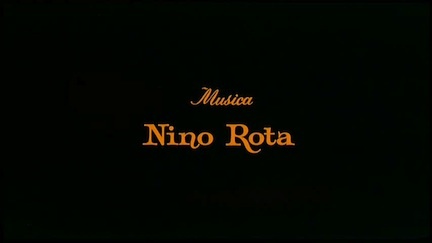 2011 was not just Bernard Herrmann's hundredth birthday but also Nino Rota's. 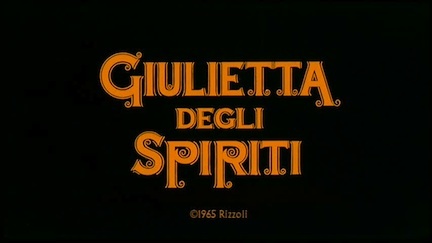 Better late than never, the 229th Soundtrack of the Week is Rota's score for Fellini's Giulietta degli spiriti (Juliet of the Spirits). Bill Frisell covered music from this movie for the Amarcord Nino Rota album. The first track, "Amore Per Tutti", introduces the main theme, to be recapitulated several times in different arrangements. After a calliope intro there are brief solos from clarient and piano. The clarinet is the first to play the theme, after which glockenspiel, crystalline reverb guitar and organ take over. "Faccette Scintillanti" is the same theme but with an Yma Sumac-like vocalist and more of the same bewitching guitar sound. Electric bass guitar adds some punch to the B section and the piece accelerates to the end. This is followed by a calmer piece, "Rugiada Sui Ranocchi", that features flute and oboe. "Vascello De Susi" is crazy exotica with vocals and guitar, reminiscent of the music for 8 1/2 and (in places) music for The Prisoner. "Rosa Aurata" is a slow bluesy take on the main theme with brilliant piano and organ playing. "La Ballerina Del Circo Snap" is peppy circus music that touches on the main theme. This is reprised in "La Maestra D'Amore". "Il Teatrino Delle Suore" is a pensive piece which has church-like organ and pastoral flute playing. It concludes with a children's choir. A somewhat cheesy reprise of the theme, played on what sounds like a calliope, is the idea behind "Valzerino Del Nonno", while "Cupido Ha Sonno" is a slower, late-night version of the theme. "Mi Basta Chiudere Gli Occhi E" is a slow, melancholy mood piece for piano combo. More of that wonderful guitar sound in here. After this comes the lilting and mysterious "Il Giarino Delle Fate", followed by "Il Charleston Di Giulietta", which is exactly what the title suggests: a Charleston version of the theme. The penultimate track, "La Porticina Segreta", goes back and forth between an outer space atmosphere with organ drone and frenetic, circus-like music. Finally, "L'Arcobaleno Per Giulietta" creates a heavenly atmosphere, beginning with solo flutem before gonig into a swinging version of the main theme one more time.